Watsons Philippines has a lot to celebrate. The brand, known for its “Look Good, Feel Great” mantra plastered on the walls of its 700 plus stores in the country, has officially launched Watsons Card, a loyalty card that gives shoppers access to exclusive events, discounts, and deals. 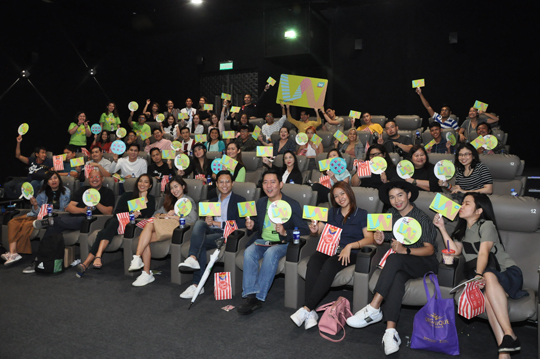 Watsons' new loyalty card brings exclusive events for its members like the exclusive screening of the blockbuster film 'Captain Marvel' at Mall of Asia's iMax Theater. According to Viki Encarnacion, Watsons customer director, they decided to formally launch the card to coincide with the regular run of the much-anticipated Hollywood movie, Captain Marvel, to give their shoppers a glimpse of the bigger things to come. “Based on feedback, we learned that our shoppers like to watch movies. Some of them also like music festivals. Perhaps in the future the would host events where we can feature some of the biggest music acts in the country today,” Encarnation told Manila Standard. From left: Watsons Senior CRM Manager Loi Sanchez, Customer Director Viki Encarnacion, and CRM Controller Jay Soliman. Last year, Watsons launched Watsons Card, its loyalty program that aims to give its customers exclusive discounts and deals. Cardholders earn points whenever they shop (one point is earned for every P200 spent). They even earn more points when you shop online at www.watsons.com.ph, and get double points for all Watsons Brand products – from personal care to Watsons Generic medicines. “Shoppers get five times points on their first transaction during their birthday month,” Encarnacion added. The executive also shared that apart from shopping credits in the form of points, great deals, and discounts, Watsons Card members also get dibs on new products and invites to member only events like movie block screenings, trips, symposia and a lot more experiential events. 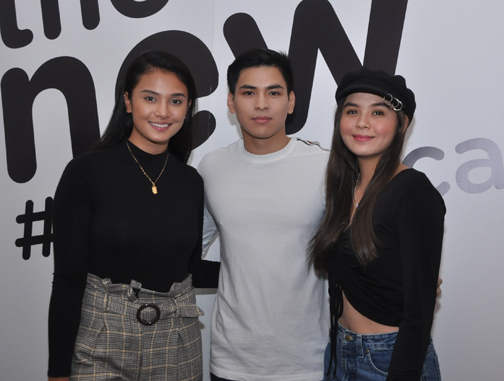 From left: GMA Artists Klea Pineda, Joaquin Manansala, and Ashley Ortega at the official launch of Watsons new loyalty card, which gives holders access to special events, exclusive promo, and discounts. Talking about the big announcement, Encarnacion said that Watsons started selling the membership card in September last year and they now have more than 800,000 members. “We are expecting the one millionth member by next month. It’s going to be a big announcement,” Encarnacion revealed.